"Let me describe something to you. 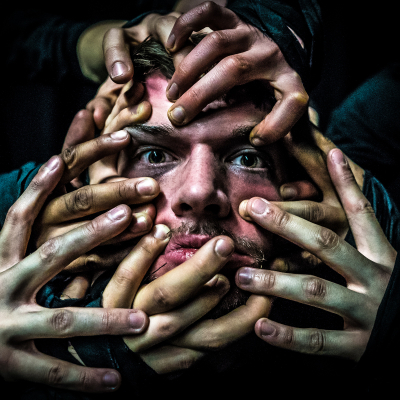 Not to say I'm horrified or shamelessly petrified because I'd have lied to say this creature does not exist..." Brilliantly combining spoken word with physical theatre, Project Lockout present an energetic and visual performance exploring that what plagues us all... FEAR. Five people speak their truths, confronting a most uncomfortable feeling. As they endeavour to make sense of this sensation, we can perhaps allow ourselves the discovery of its importance.As actors control the stage, FEEL THE FEAR seeks an ambitious address to its audience with an intensely physical, lyrical experience.